Jared Bernstein , in December 2008 joined the incoming Obama Administration as Chief Economist and Economic Policy Adviser to Vice President Joe Biden. He was recommended to Biden by Obama advisor Austan Goolsbee. He is described as one of the few left-leaning scholars on the Obama administration's economic team and he will, moreover, have the ear of Vice President Biden. He will also, likely push his agenda of worker rights and income inequality. Bernstein also doesn't believe a large deficit is a bad thing. Bernstein has been an economist at the Economic Policy Institute since 1992 and is a renowned author of several books and academic treatises on the economy and the middle class. From 1995-1996, he served as Deputy Chief Economist for the Department of Labor under Labor Secretary Robert Reich. Bernstein is on the Congressional Budget Office's advisory committee and has been a contributor to the financial news station CNBC. He has also taught at Howard University, Columbia University and New York University. He holds a Bachelors Degree in Fine Arts from the Manhattan School of Music; a Masters Degree in Social Work from the Hunter School of Social Work; a Masters Degree in Philosophy and Ph.D. in Social Welfare from Columbia University. Ph.D. Social Welfare, Columbia University. Masters Degree Philosophy, Columbia university. Masters Degree Social Work, Hunter School of Social Work. Jared Bernstein joinedthe Economic Policy Institute in 1992. Bernstein's latest book is "Crunch: Why Do I Feel So Squeezed? (And Other Unsolved Economic Mysteries)," which follows "All Together Now: Common Sense for a Fair Economy." His areas of research include income inequality and mobility, trends in employment and earnings, low-wage labor markets and poverty, international comparisons, and the analysis of federal and state economic policies. He is also known to be a critic of free trade agreements such as the North American Free Trade Agreement (NAFTA). Bernstein is described as being loudly pro-union. He is the co-author of eight editions of the book "The State of Working America" and has published extensively in popular and academic venues, including The New York Times, The Washington Post, The American Prospect, and the Center for Research in Economics and Statistics. He is a contributor to the financial news station CNBC. Bernstein has also written diaries on the Daily Kos. Bernstein has taught at Howard University, New York University and Colombia University. He was hired, in 1992, by the left-leaning Washinton think tank, Economic Policy Institute (EPI); this being a think tank which has links to organized labor and focuses on matters pertaining to low and middle income workers. The EPI has been associated with the most progressive part of the Democratic Party when it comes to economic matters - and that is viewed as being to the left of the Brookings Institute. 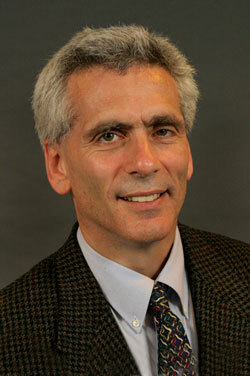 Bernstein served as Deputy Chief Economist in the Department of Labor from 1995-1996. During the Clinton years, when in the Department of Labor, he worked for Robert Reich. He then returned to the EPI where he was made Director of the Living Standards Program and senior economist after selection by Biden. Bernstein is on the advisory Committee of the Congressional Budget Office. He is also employed as a contributor to CNBC - the financial news network. His position on the Vice Presidential staff, is a new one. Journalists noted, upon his appointment, that he holds more liberal views than any of Obama's economic advisors. Bernstein has also been appointed to the position of Executive Director of the Middle Class Working Families Task Force and is responsible for direct management of this project. The noted "progressive" columnist and Nobel laureate in economics - Paul Krugman - was to argue, in November 2008, that the new Economic Recovery Advisory Board could be used to "give progressive economists a voice", given that the nature of Obama's economic inner circle was "centrist". Krugman then named Bernstein and Lawrence Mishel - fellow EPI economist and EPI president - among other "progressive" economists, who could be suitable for the board. This suggestion was prompted by the Biden appointment. In 2008 Bernstein was an economic adviser to the Obama campaign. Bernstein was an identified member of JournoList - an email group of approximately 400 "progressive" and socialist journalists, academics and "new media" activists. Jared Bernstein was one of the 148 speakers who spoke at the 2010 America's Future Now Conference. This page was last modified on 12 September 2015, at 19:42.